Marcia Wallace, Longtime 'Simpsons' Cast Member, Dies At 70 : The Two-Way Wallace is known to generations of TV fans for distinctly different roles on The Bob Newhart Show, as Carol Kester, and as school-weary teacher Edna Krabappel on The Simpsons. 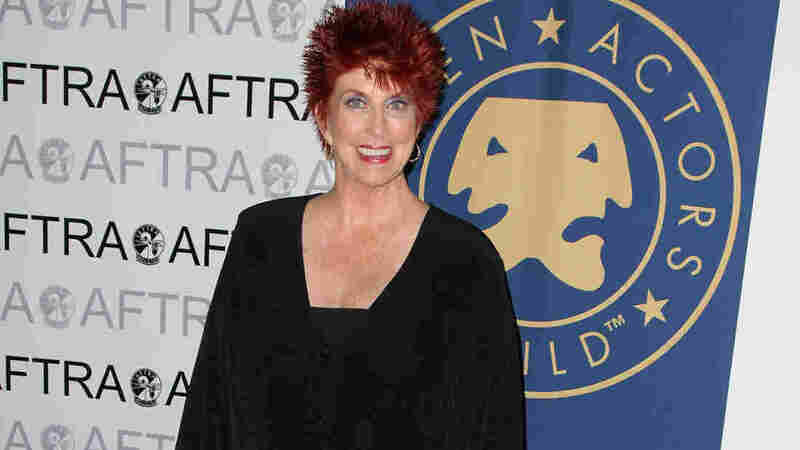 Actress Marcia Wallace has died at age 70. She was a fixture on American television for decades, thanks to long-running roles on The Bob Newhart Show and The Simpsons. The woman behind Edna Krabappel and Carol Kester has died. Actress Marcia Wallace, who is known to generations of TV fans for distinctly different roles on The Bob Newhart Show and The Simpsons, was 70 years old. A native of Iowa, Wallace was a fixture on American television for decades, from her appearances on The Merv Griffin Show to jokey game shows such as Hollywood Squares and Match Game. To many, Wallace's work as receptionist Carol Kester on The Bob Newhart Show defined her career, as her short red hair, wide smile and a gift for comedic timing helped the show mine the 1970s dating scene for laughs. The words "plucky" and "feisty" come to mind when describing Wallace's work on the show. She brought a resilient sense of humor to a character who was often tested by uniquely odd circumstances, from dating a patient of her psychologist boss to falling for the man who removed a butterfly tattoo from her posterior. Viewers also know Wallace's voice and her natural wit from more than 20 years of work on The Simpsons. There, she brought to life the school-weary Edna Krabappel, a teacher who punctuated her own punch lines with a signature laugh: "Ha!" Wallace received an Emmy for her work on the show in the 1990s. "I was tremendously saddened to learn this morning of the passing of the brilliant and gracious Marcia Wallace," Simpsons executive producer Al Jean said Saturday, in a statement cited by The Hollywood Reporter. "She was beloved by all at The Simpsons and we intend to retire her irreplaceable character." The cause of Wallace's death has not been revealed in reports we're seeing. "Wallace was diagnosed with breast cancer in 1985 and became a high-profile advocate for breast cancer awareness. She became a motivational speaker, and traveled across the country to discuss her personal story," reports Us magazine.